Elizabeth is an experienced therapist, speaker, trainer, coach and author with a Ph.D. in Psychology. 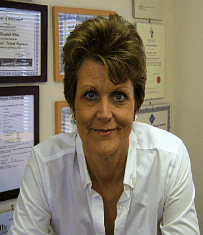 She is totally committed to helping people achieve their true potential and has trained to the highest levels in Hypnotherapy, Mindfulness, NLP, Counselling, TFT-Dx, IEMT and several other therapeutic disciplines before going into private practice over a decade ago. She is also a Certified Practitioner and Trainer of the Havening Techniques and finds it to be an amazingly fast and effective way of healing almost any type of traumatic experience, anxiety, phobia and emotional and mental health issue. Elizabeth loves a challenge and runs life enhancing courses and one to one sessions for both businesses and individuals using fun and humour with an easy, laid back style of delivery. Such as how to overcome stress in the workplace, training courses specifically aimed at health workers, first responders and teachers alike and she has a huge interest in human health and nutrition and the effects it has on our physical health and well-being and how diet and lifestyle can not only heal us but protect us from sickness too. She has created a range of MP3’s covering wide ranging subjects and developed over many years. Daytime one to one appointments are available Monday to Friday. Training Courses by prior arrangement.